Originating high in the mountains of central California near Kings Canyon/Sequoia National Park, the Kings River boasts the largest watershed of any river in the Sierra Nevada range. Un-dammed and un-spoiled, the Kings river truly is one of the most scenic rivers in the West, and provides for an excellent whitewater rafting trip experience. 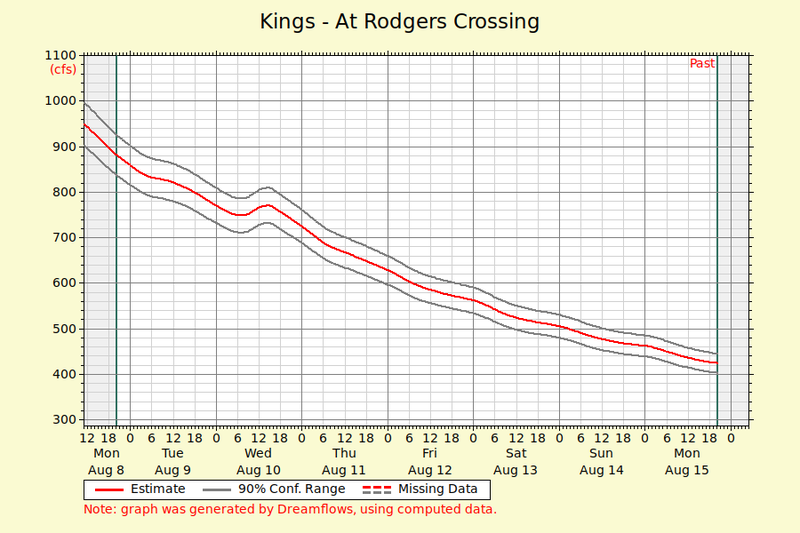 500 – 1000 CFS = Lower flows. Great for eager first timers and experienced rafters. Class III+ whitewater. 1000 – 1200 CFS = Lower flows. Forgiving Class IV and some Class V whitewater. Best for experienced rafters who like the challenge of difficult paddling and maneuvers. 1200 – 2000 CFS = Medium flows. Challenging Class IV+ and Class V whitewater, exciting for veterans. Previous experience preferred and helpful. Bigger waves and swift moving water. California whitewater rafting is a little bit different on the Kings River. The season on the Kings River is sometimes so short that Sierra-dwellers can almost blink and miss the transition from winter to spring. This is due to the fact that the Kings River is fed by the melting run off of winter snowcaps high in the Sierra Mountains. Since we seemed to be locked into winters becoming warmer and warmer, the rafting season on the Kings River has been short in the last few years. 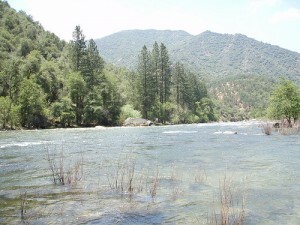 Mid-April is the season for exciting springtime rafting on the Kings River. California whitewater rafting enthusiasts trek to the Kings River during mid April when the whitewater and waterfalls are gushing and the Kings River is at it’s mightiest. The mind set for the expert rafter is,” break out your gear right now or you will miss the season.” Summer is the best season for children, beginners and family rafting on the Kings River class III Banzai run. In a good year, the season runs April through August. The River calms down mid-summer (July and August).